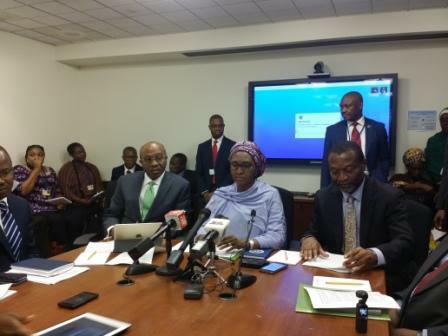 Nigeria does not have any “imminent” plan to remove fuel subsidy as there are currently no buffers to cushion the effect of such action, Minister of Finance, Zainab Ahmed, has said. The Minister said this in Washington DC Sunday morning during a briefing with journalists on the sidelines of the World Bank/IMF Spring Meetings, adding that the nation has not yet had a “viable” alternative to the fuel subsidy. Following the scarcity of the petrol (Premium Motor Spirit) in parts of the country for some days, some members of the public have speculated that a removal of the subsidy could have led to the shortage, as it was also in the news during the week that the International Monetary Fund (IMF) had recommended the removal of fuel subsidy to Nigeria’s government. The IMF had said that trillions of naira the government spends to subsidise imported fuel yearly could be spent to improve health care delivery, education and roads, infrastructure that are known to be grossly deficient in the country. “We are here to discuss with the global community on various policy issues and one of the issues that always come up, especially from the IMF, is how we handle the subsidy. In principle, IMF will say fuel subsidy is better removed so that you can use the resources for other important sectors and in principles, that is a fact to do so,” the Minister said. She said the country will be working with various groups to find what will a way out as the issue is paramount at the EMT. Zainab described the Spring Meetings as an opportunity to review developments in the global economy and to examine emergent and associated risks, as it also offers opportunities to review potential policy menu to ameliorate the risks, going forward.